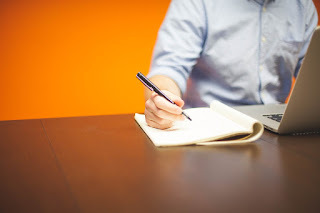 I've made a big decision about my writing: I am now going to self-publish. The House on Schellberg Street goes out of print on 8 December. I'm trying to get a new edition out for the 9 December and it's looking as if it will happen. In the meantime, Clara's Story is out with an editor and I'm aiming for that to come out in March. I have two further novels in the cycle ready and will release them at timely intervals. I'll soon be writing the fifth and sixth. The play is complete and will soon be ready for others to look at. These books have such a niche market. If I have full control of the books it's easier to work with that niche market. 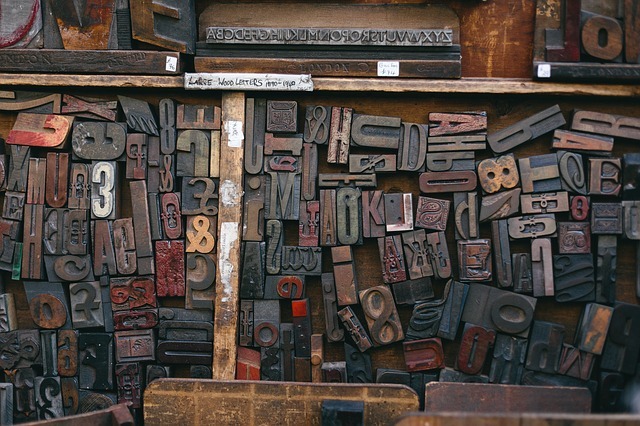 Self-publishing is now much more respected. It also seems a little odd not to have faith in my own publishing house. It seems right to publish my own work there. It's like saying "This is good enough for me as well." In a roundabout way I've done reasonably well financially with my writing. I earned well during my ten years at the University of Salford, especially after I was promoted to become a senior lecturer. There has also been some income from royalties, school visits, Public Lending Right and the Authors Licensing and Collecting Agency. I've now retired from the university though do a little teaching for them now and then. I'm left with the state pension, my teaching pension and my university pension. The royalties, school visits, and the PLR and ALCS payments continue. I'm not rich and famous but I'm not poor either. I also have to remember that every year at the University of Salford we've had Conrad Jones speak to our students on this very matter. Talks at the recent ALCS and Society of Authors AGMs also reinforced the idea. Meanwhile I'm also continuing my work on a fourth Peace Child book and now have a title: The House of Clementine. I've been struggling with this one but it's beginning to work. Recently for this group I've been sourcing other books set in the 1940s. There are a lot of these and some of them are better than others. We're really looking for stories and even pieces of non-fiction that give us insight into the era. If they're well written and engaging as well, so much the better. The Dream Team continues to grow. The other Friday I was on an excellent course on using social media for marketing. Two seats away was Catherine Lansdale, former art teacher who is now illustrating children's books. See what else Catherine does here. Other people include: Roger Noons, Alyson Rhodes, Bartosz Milewski, and Karda Zenko. Do take a look at what they can offer. There are a few others on the site, too. Find them here. We have had pretty well three books come out at once. As ever, we welcome reviews. I can send you the mobi-file for your Kindle or a PDF if you prefer. It's great then if you can post a review on Amazon, Good Reads and on your own web site and / or blog. A book needs 50 reviews for Amazon to start promoting it. Of course we also welcome more book sales. Here are a few details about the books and the links to buy them on Amazon. Then there is Citizens of Nowhere. I'll confess that Theresa May both infuriated and inspired me when she said that global citizens are citizens of nowhere. What a great title for a book. So, I approached several writers I know who I thought might feel the same. Not all of them had the time or the inspiration but several have contributed. A few stories that were submitted to Glit-er-ary seemed more suitable for this collection. Jenny Palmer also has a story in here. This will be the fourth time that we've published this one. She is on the CaféLit site, in the Best of CaféLit, in her own collection and in this book. Debz and I have also put our money where our mouths are. We each have a story in the anthology. Find it here: https://www.amazon.co.uk/Citizens-Nowhere-Gill-James-ebook/dp/B077DD7XN3/ Honestly, whatever your politics are, you shouldn't find anything to offend here but maybe something to make you sad, to give you hope or to make you think. AND NOW A HEADS-UP ABOUT NEXT YEAR. Our theme is Crackers. Not necessarily the Christmas variety. We want stories that make you smile or laugh. They can include pathos – remember the story about the girls who had her hair cut to pay for her husband's watch to be repaired? Whilst he sold the watch in order to buy some pretty combs she'd wanted for her hair? Or something that gives you a great big belly-laugh. Ot mayb something tha is just plain nuts. We're not accepting submissions until 1 January but at least you can get ahead of the game by thinking about it now. An urgent request. I still need a few Advent / Christmas stories. Tell all of your writing friends. If we get too many, we can programme ahead for Christmas 2018. I'm still also keen to get a story a day out. 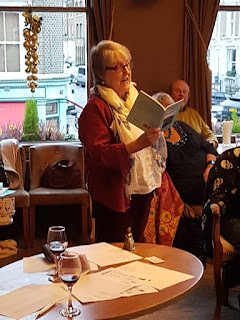 In November, we had stories from Glenn Bresciani, Angela Haffenden, Sarah Howlett, Dawn Knox, Roger Noons, Allison Symes, Alun Williams, Lisa Williams and Robin Wrigley. There were sixteen stories in total, so I'm half way towards my goal. I'm also having an audio version of this book made. This is going well so far. If this continues to go well, we'll roll it out to other authors. The profit share will equal 10% of the cover price of the audio file. Christopher Bowles' Spectrum, a challenging but very satisfying read. Again reviews welcome. The Kindle version was quite a challenge. He has some fabulous reviews. See them here. More are welcome. I can send you a PDF or mobi file. Be warned: there is some adult material in this. There is also a lot of beautiful writing. If you would like to buy the book, see details here. You may also be interested to read that Christopher secured himself a new job recently. In the part of the interview where they wanted to know about other aspects of his life, he mentioned Spectrum and his performances. He will now be using this in his work. I've added two cafés from the US IN November. The Arts at the Armory Café http://www.creativecafeproject.org/2017/11/arts-at-armory-somerville-ma-usa.html offers a really big range of creative café activities so we've been able to extend our repertoire. The Inspire Café, in Dubuque, http://www.creativecafeproject.org/2017/11/inspire-care-dubuque-ia-usa.html also offers a couple of new activities: inspirational speakers and space for hire. 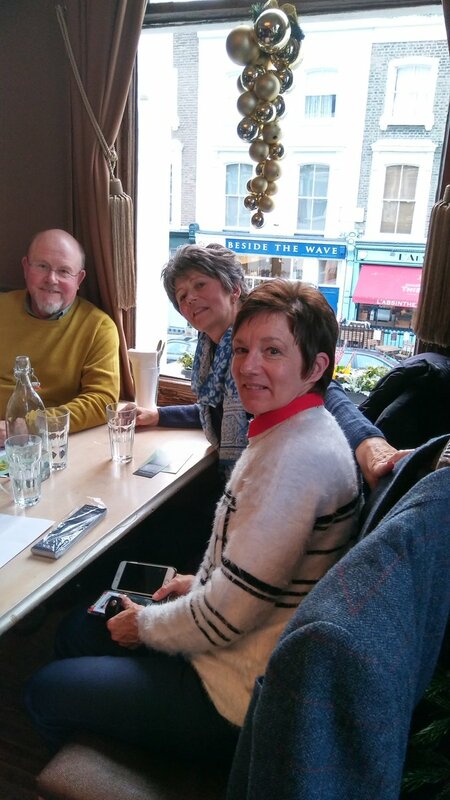 Our event on 2 December at the Princess of Wales went well though twenty delegates had to pull out, all for good reasons: illness, awkward trains, family problems, job inductions etc. and I too suffered from "awkward trains". Nevertheless, we all had a great time. We also sold half of our stock of books within the first five minutes. I didn't have to bring all that much back home. I actually managed to join in the "speed-dating" this time. The little bell that I bought worked really hard. She is a young woman in a crinoline dress. Esmeralda. It was good to put names to faces. I read a little too from January Stones. 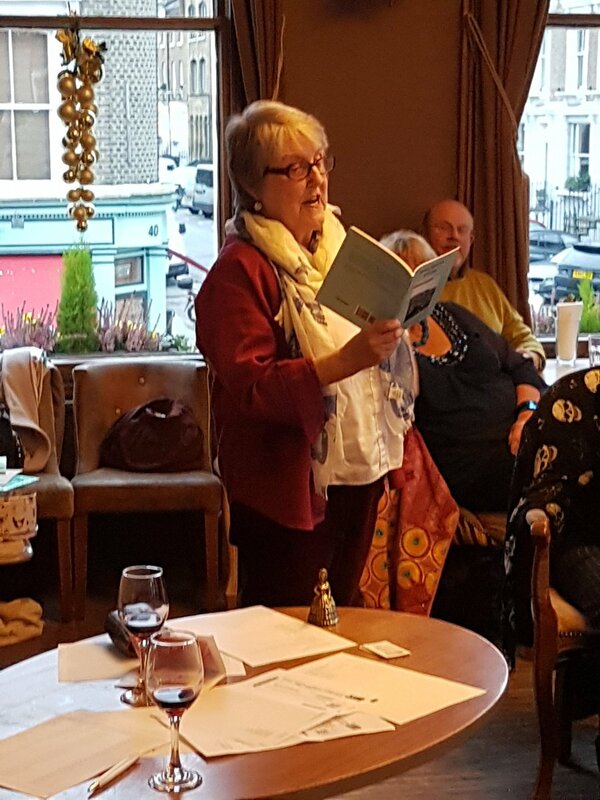 We also had readings from Margaret Bulleyment, Penny Dale, Shanta Everington, Lauren Hopes, Dawn Knox, Paula Readman, Allison Symes and Robin Wrigley. I shouldn't have liked this book but I did. It's supposed to be a biography or memoire but it's more of an auto-biography. It's sub-titled A Voyage around My Father. It doesn't use the fiction-style narrative I prefer for such works. In fact it's one continuous narrative. I'm not even all that interested in the type of family that Adam Mars-Jones describes, though the details about the flat in Gray's Inn are fascinating. The book is awkward to hold. And yet I thoroughly enjoyed reading it. Mars-Jones writes in a very engaging voice. I have the hardback version and it is truly a beautiful book. Find it here. I'm running an occasional series of interviews on my blog. 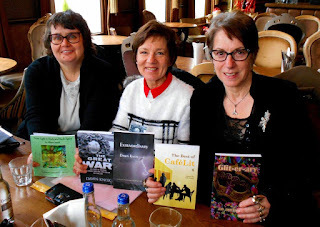 Take a look at my interview with Allison Symes and Dawn Knox. 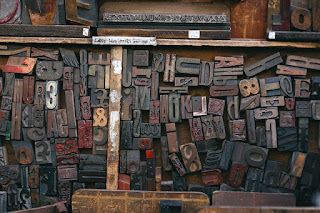 If you would like to be on my blog just answer the questions below and send them with appropriate images to gill dot james at btinternet dot com. This month I'm giving away The Best of CafeLit 5.